Steve has been in the waterworks industry for over three decades, acting as President of Famcon Pipe & Supply for all 31 years of the company's existence. He has always had a hands-on approach to the business and is responsible for all issues related to Administration and Finance. Ghia first joined Famcon as a driver, working in the warehouse. Twenty-seven years later, Ghia has worked in almost every position at Famcon, working his way up to Sales Manager for both Famcon Pipe and Famcon Utility Supply. 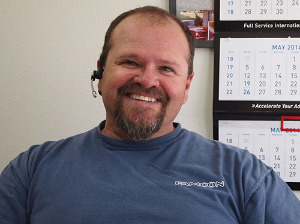 As a man that wears many hats, Ghia also works as one of Famcon's outside salesmen, serving both waterworks and dry utilities customers throughout Ventura County. John has two decades of experience in waterworks, with 12 of those as a Famcon team member. After many years as Famcon's warehouse manager, John is now in charge of the Utility Supply division. The queen of Famcon's administrative and finance kingdom, Joyce has ensured the office runs liked a well-oiled machine for 22 years. For inquiries regarding accounts, releases, and 20 day prelims, Joyce will have the answers. Mark joined Famcon in 2011, focusing on promoting and managing the PAM Covers product line in California while finishing his MBA. Now in his 5th year with the company, Mark manages the distribution network of PAM Covers to California, Arizona, Nevada, Utah, and New Mexico, as well as Famcon's marketing and online presence. Brian has 37 years of experience in the waterworks industry. He relocated to Ventura County in 2001 and has been a member of the Famcon team for 11 years. With a background that includes industrial and fire protection, Brian now focuses on sales and estimating for Famcon. Brian is the newest member of the Famcon family. After spending 13 years working in the field, estimating and project managing for contractors focused on sewer, water, and storm drain projects, Brian has devoted more recent years to waterworks materials sales. His hands-on field experience and ability to do public works takeoffs is a great asset for both Famcon and our customers. A part of the Famcon team for 3 years, Jimmie is currently enrolled at California State University Sacramento studying water distribution, wastewater operations and treatment, and stormwater management. Manny got his start in the waterworks industry when he joined Famcon 21 years ago. Originally joining Famcon as a driver, Manny has worked his way up to Will Call Manager. His experience has made him well versed in both waterworks and utility materials.